Here's a simple yet great product for organizing and storing batteries. 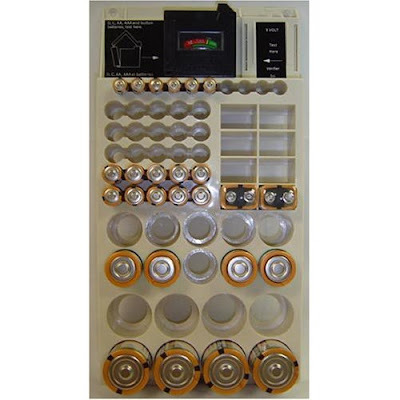 It holds up to 66 different sized batteries along with a tester to figure out if your battery is usable. No more searching drawers or cupboards.